The 905’s real estate market was viewed “favourably” by 64 per cent of OREA’s respondents. 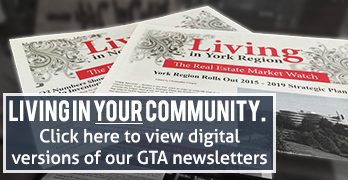 TORONTO – After a record-breaking 2015 that saw major local increases in not only GTA real estate sales activity, but the average selling price of Toronto area homes, many area home buyers are – perhaps unsurprisingly – feeling positive about prospects for the area’s real estate market in 2016. According to the newly-released results of an Ipsos Reid Poll commissioned by the Ontario Real Estate Association in late 2015, 46 per cent of surveyed GTA residents agreed that the “real estate market in their city will be stronger” by the end of this year. Only 35 per cent had provided that same answer the previous year – reflecting the largest increase in market confidence of all surveyed regions (which also included Southwest, Central, East, and North Ontario). “As Toronto’s real estate market continues to make headlines, residents in the 416 believe that it has the potential to become stronger still in the next year,” Ipsos Reid vice president Sean Simpson explained in a release. The survey, which was conducted between October 30 and November 2, also asked participants how they felt about their regional real estate market in 2015 compared to the previous year. 54 per cent of GTA residents felt that the market was “stronger,” reflecting a nearly even split between the urban “416” area (53 per cent) and the suburban “905” (55 per cent). While only 11 per cent of Ontario residents see themselves purchasing or selling a home within the next two years, that percentage is much higher in the GTA, with 14 per cent of 416 residents and 15 per cent of 905 residents aspiring towards that goal. 57 per cent of surveyed Ontario residents currently own a home, while only 34 per cent of respondents have never owned one. 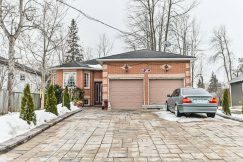 The residential real estate market in Toronto’s suburban 905 currently enjoys a relatively strong reputation, with 64 per cent of surveyed residents considering it “favourable” (compared to 42 per cent of residents in the 416 area).